The term, of course, refers to something in Star Trek, in tribute to the opening of the rebooted franchise movie. It is a metaphor for failure. This post was originally posted on 10 May 2009, but has been updated with additional material. While Houston local food enthusiasts take appropriate pride in the diversity of foods available here, there are gaps. 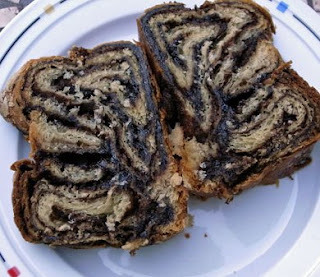 Myself, I am fond of chocolate babka bread, a rich yeast bread that originated from Eastern Europe. 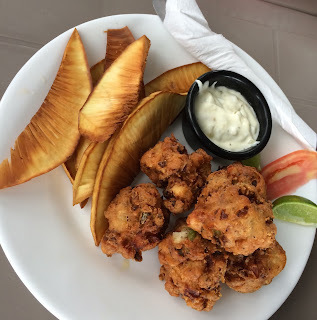 I discovered this wondrous foodstuff in the New York City. I usually make the effort to pass by Zabar's in NYC, and pick up a few loaves of Green's chocolate babka bread to bring back to Houston. Fortunately, the stuff freezes well, but I have been looking for a local source for babka bread. The main source of Jewish style baking is Three Brothers Bakery, which has been shuttered since Hurricane Ike. They allegedly would make babka bread ever Friday, although in all the times I've tried, they never seem to have it in stock. Perhaps the best in grocery bakery in town, Central Market, tried its hand at babka bread a while back, and it was awful. I bought a loaf and was so appalled at the product, I actually wrote a letter of complaint. I've never seen it stocked there ever again. Last December, the local Whole Foods carried Green's babka, albeit at quite a markup (and I don't know if this is a special arrangement, but it seemed quite a bit smaller from what I remember it to be). However, I was informed that this was a seasonal arrangement (which I don't understand - babka isn't really a celebratory food). Recently, I was advised that babka bread is available at Kenny and Ziggy's in the Galleria. Excited that there may be a good local baker of babka, I took the opportunity to order it there when I went there for lunch yesterday. One thing about Kenny and Ziggy's is that the place is an exaggerated stereotype of a New York touristy midtown deli, complete with oversized desserts, homemade pastrami, walls covered in Broadway posters, but with a conveniently spacious dining area. The babka was offered with the option of being warmed, and served with ice cream. 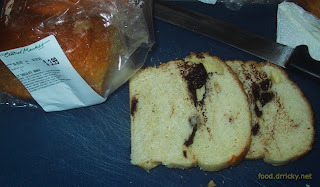 What arrived was a generous slice of what is unmistakably Green's babka bread. I asked if they made the babka in house, and was told that they don't, but wouldn't tell me their source. I'm pretty certain that they had this shipped in from New York City as well. So, the verdict still stands: There is no local Houston babka maker. Shame. Polonia around Easter makes babkas, you missed out this year. Really? I'll have to stake out Polonia for Easter, then. I'm not used to babka as a seasonal bread.